This tutorial will guide you through the steps to remaster the UBCD ISO to enable you to burn it to an optical disc. I will start off with a just downloaded state and proceed from there. This guide does not contain help on modifying any of the extracted content; if you are looking for a specific guide that is not available here, please check the UBCD forums for more help and information. It is highly recommended that after completing this tutorial that you test the remastered ISO with a Virtualization Software (VirtualBox (free), Qemu (free), Mobalivecd (GPL3, portable), etc.) or by burning it to a rewritable source such as cdrw/dvdrw to confirm it does work properly before burning it to a more permanent media as problems may arise and could save you an optical disc. 2.1 Copying ISO to User "Documents"
1. The UBCD ISO, ofcourse. Download it here if you haven't already. For this tutorial I will be using version 5.0 beta 12. 2. 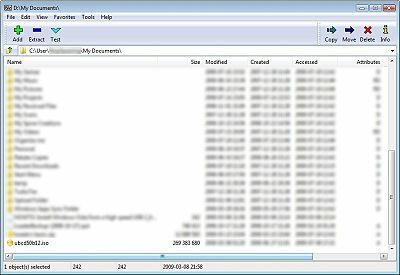 7-zip or any other extraction software (PeaZip (free), etc.) to extract the contents of the ISO. 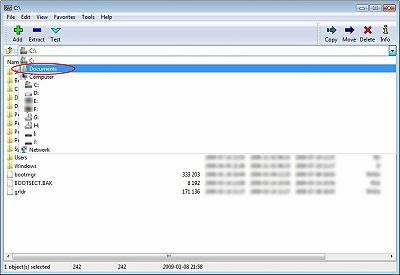 I will be using 7-zip in this tutorial because it is freeware and comes in a portable vesion (no installation required). Note: Make sure that the software you use supports extracting in lowercase (and is enabled) as grub4dos (one of the included programs) is case sensitive and will cause problems if anything is capital, not to mention it's time consuming to lowercase everything. 3. At least 550mb of space for extracting and remastering; additional space required if you plan on adding more programs to the ISO. 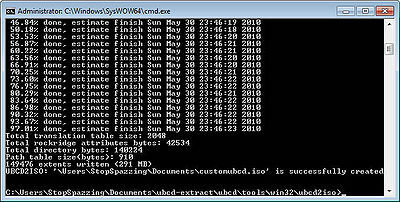 Copying ISO to User "Documents"
2. Using start menu, go to "Documents" (XP it's labeled "My Documents"). 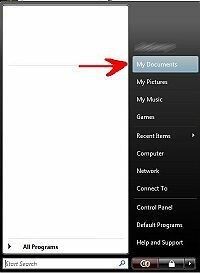 Note: "Documents" is easiest location as doesnt require administrative rights to view and modify contents of the folder, only read & write permission. 3. Right click on the UBCD ISO on your desktop and select "Cut". 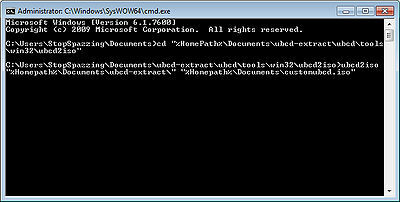 Now select the "Documents" window and right click on an empty space, without clicking another file, and select "Paste". May take some time to transfer the ISO, so be patient. Note: You will need read & write permission to modify the contents of the "Documents" folder. The UBCD ISO should now be located in "Documents". At this point the UBCD ISO should be located in your user "Documents" folder. We will now extract the contents of the ISO. 1. 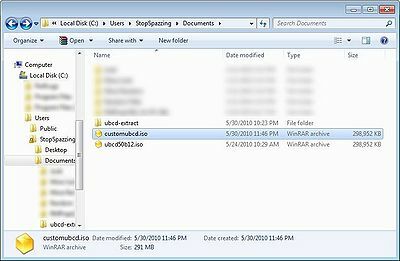 Open up 7-zip and nagivate to the "Documents" folder using the drop down arrow on the far right and selecting it. 2. You should see the UBCD ISO now. 3. Select the ISO and then click the "Extract" button at the top. 4. 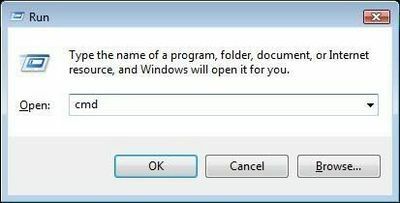 A window will open allowing you to extract the contents to a folder. 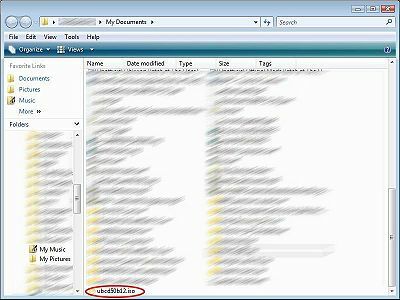 In XP: "C:\Documents and Settings\Your_Username\My Documents\ubcd-extract\"
Note: By default the "extract to" folder is named the same as the file it is extracting from. Note 2: I have renamed the extract folder so you will be less likely to become confused with similarly named folders later on. 6. Click the "Ok" button to begin extracting the contents to your user "Documents" folder. May take a moment to complete. 7. The "ubcd-extract" folder should have been created and contain several folders. After extracting the ISO image, use the Customize UBCD page to adapt it to your needs. 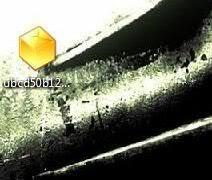 Now that the contents of the ISO have been extracted to your user "Documents" folder, under the folder named "ubcd-extract", and the contents have been customized, we can now continue and remaster (rebuild) the ISO. Important Note: In XP, your user documents folder is named "My Documents". In Vista/7, it's named "Documents". For XP, simply press, "windows key + r", to open the run window and then type "cmd" followed by pressing "enter". 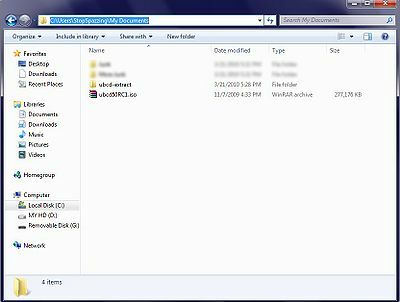 This also works in Vista/7 if you havent changed the extracted ISO folder location. 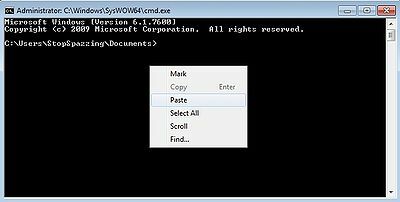 1.b If you have changed the extracted folder location, you may have to run the Command Prompt as an administrator in Vista/7. "Windows key + c" is the easiest way to open Command Prompt with Administrator privileges. For XP: cd "%HomePath%\My Documents\ubcd-extract\ubcd\tools\win32\ubcd2iso"
Now right-click on the Command Prompt window and select paste. For XP: ubcd2iso "%Homepath%\My Documents\ubcd-extract\" "%Homepath%\My Documents\customubcd.iso"
For Vista/7: ubcd2iso "%Homepath%\Documents\ubcd-extract\" "%Homepath%\Documents\customubcd.iso"
May take a minute or two...so be patient. 5. When it has finished, as the above picture shows, you will find the new ISO (customubcd.iso) located in your user "Documents" folder as well as the original UBCD ISO you downloaded and moved (in this case ubcd50b12.iso). After extracting the UBCD ISO, go to ubcd/tools/linux/ubcd2iso , change permissions of ubcd2iso.sh to allow execute, then click on the file and select run in terminal. Now concludes the tutorial on how to remaster the UBCD ISO. This guide can easily be modified to fit someone using linux and may in the future include a linux version. The next tutorial would be Burning UBCD to Optical Disc. You may want to checkout other tutorials here. This page was last edited on 18 December 2010, at 02:00.